Don’t let damaged or lost car keys upset you! Get car keys made by experts and regain access into your car. No matter how careful you are with your car keys, sometimes you either break the key in the ignition or lose it unintentionally. If you have a spare set of keys and that too within your reach then you can easily get out of this unpleasant situation, otherwise, you’ll have to seek other solutions that can help you manage the situation better. Contacting your car dealer and arranging a new set of keys might help you, but it is time consuming as well as expensive. There are some other ways you can tackle the situation and taking the help of a local locksmith is one of them. At Master Lock Key Store, we have a team of automotive locksmiths that can design a car key for you instantly. They are trained to work on all kinds of automotive lock and keys. Whether you want a new key or want them for ignition repair, they have required tools and the requisite skill to deliver any kind of automotive locksmith solution, with minimal damage, at surprisingly low-prices. If you are thinking that just about any locksmith can make car keys, then you are totally wrong. It is a tough task and only someone with the adequate amount of knowledge and experience can produce the right kind of key. The advancement in vehicular locks has made this task even more complicated. But with experts like Master Lock Key Store, it becomes a lot easier to get control of the situation. After all, when it comes to the safety and performance of your car, it is better to trust a reliable name to get your car keys made. Designing a car key requires a high level of sophistication. And for that, you need fine skills and high-quality tools as well. At Master Lock Key Store, we add latest tools in our kit and ensure that our team is trained enough to work with them. Don’t let the urgency to have a pair of new keys force you to settle for inferior quality work. Call us anytime and our mobile van will reach you with the most qualitative solution. Our exposure and experience give us the confidence to work on sophisticated and complex keys. 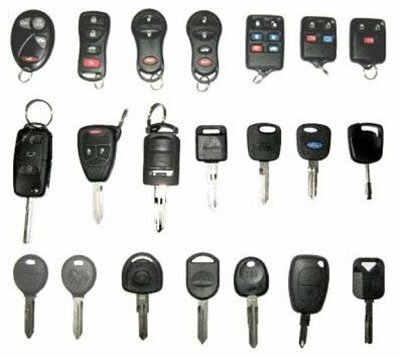 We have worked on latest transponder keys as well as high-tech laser car keys. We can confidently declare that we can get car keys made for any vehicle make or model. We ensure that our clients get the cost-effective and quality car key making service in Fort Lupton, CO. Call us today!